I've been crazy about Garfield my entire life, probably because I can so easily identify with him. He's passionate about pasta, hates Mondays and mornings, and loves coffee, Christmas, and mindless TV. 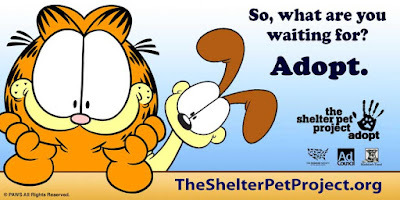 Garfield is also passionate about shelter pets, and in celebration of Adopt a Cat Month he has joined The Shelter Pet Project in several new videos and shareable graphics to show the love and joy that shelter pets bring to their owners’ lives. 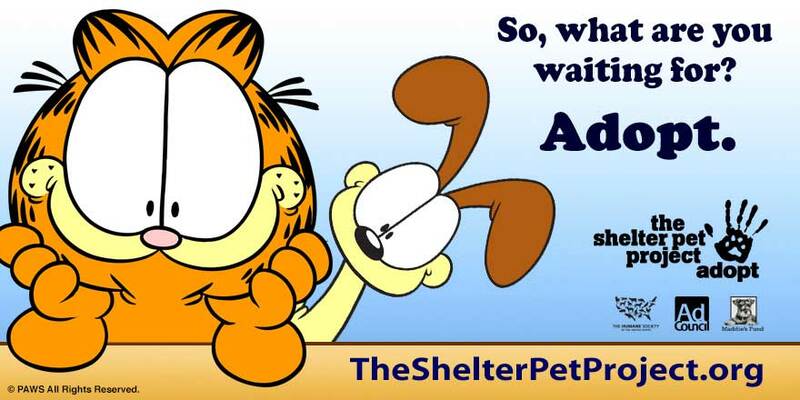 New PSAs created for The Shelter Pet Project by the creators of Garfield and Odie urge families to make shelters and rescue groups their first stop when looking to get a new pet. 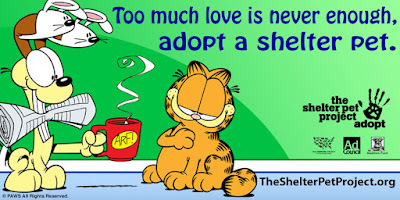 Garfield encourages viewers to visit TheShelterPetProject.org to see what shelter pets are available in their area. These videos and other ads help break down misconceptions surrounding shelter pets and spread the word that pets in shelters are wonderful and loveable. 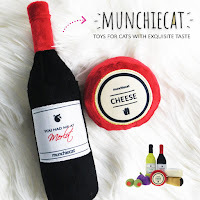 Millions of people are looking to acquire a pet within the next year. If just a small percentage choose to adopt, we could end the euthanization of healthy and treatable pets across the U.S.
Share a photo or video of your shelter pet in a blog post and/or social media update. 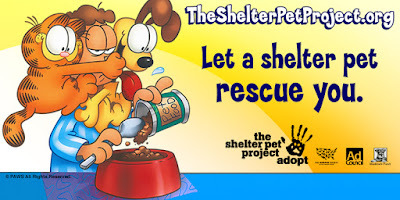 Tag posts with #shelterpetlove and encourage people to visit TheShelterPetProject.org to learn more about pet adoption. By sharing how your shelter pet enhances your life, you can show people who may be hesitant to pick a shelter pet just how rewarding it is to adopt. Share one of these social graphics on your Facebook, Twitter or Instagram account. 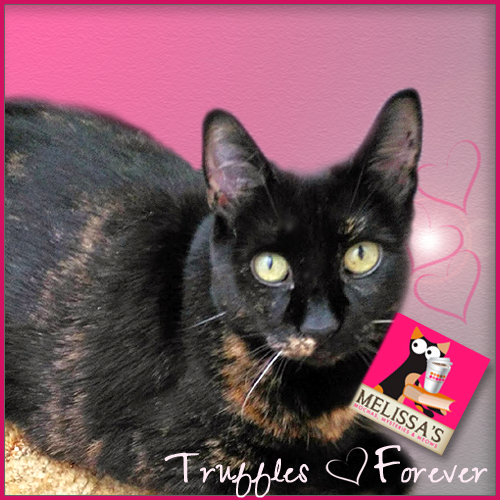 Tag posts with #shelterpetlove. 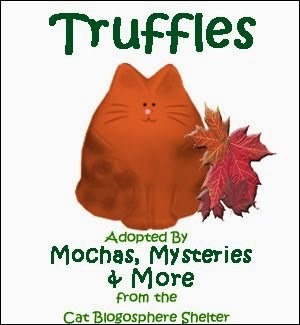 Please tag The Shelter Pet Project on the appropriate channel (i.e. Instagram, Facebook, Twitter, etc.) 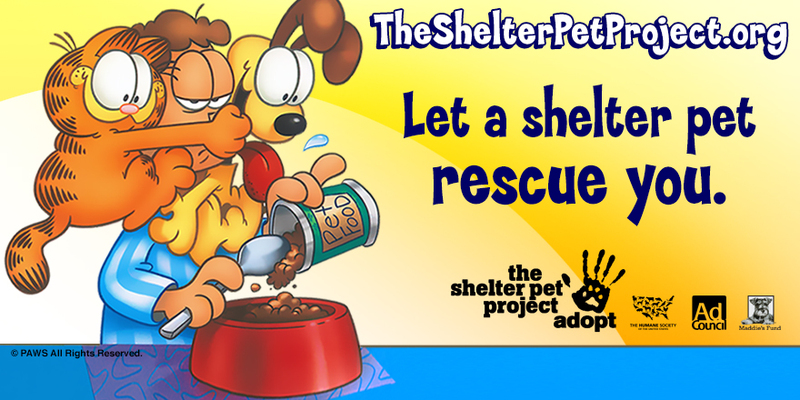 and use #shelterpetlove when sharing! I love Garfield too :) I had a cat named Garfield once. It's good to see that he's doing something nice for shelter pets! 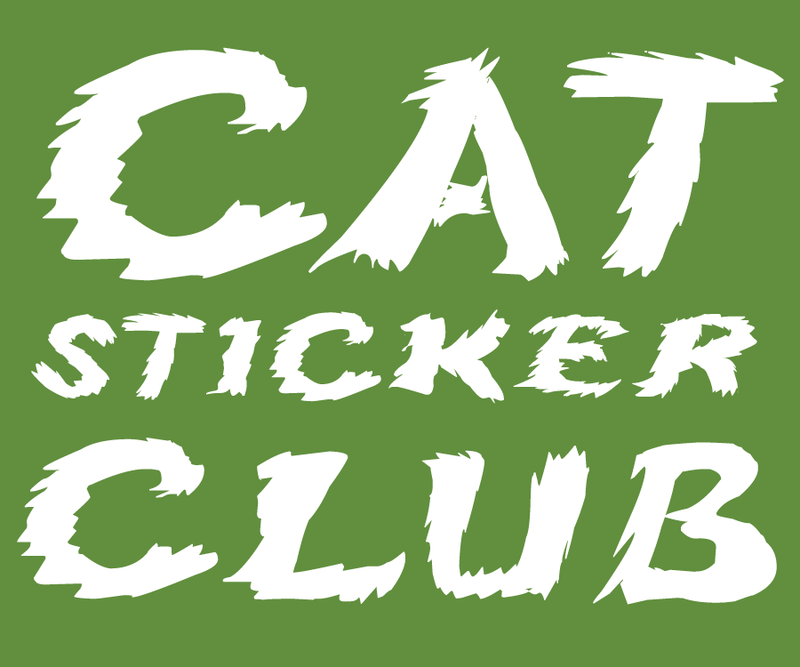 Garfield is an interesting choice, but he's going to get plenty of attention for them, which is awesome. Anything that gets more pets adopted is good! 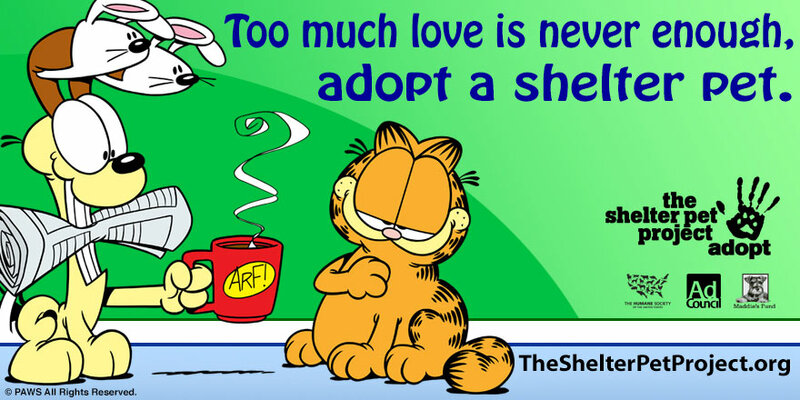 We love Garfield...and are so glad he's helping shelter pets. what a great idea!! 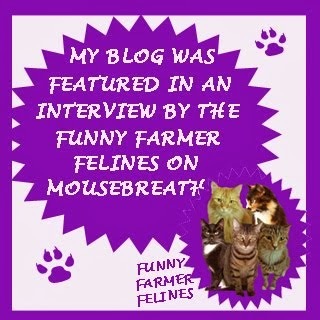 we love Garfield and that he is helping shelter pets!! Garfield has always been a favorite of mine, too! 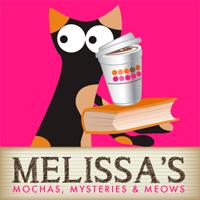 I'll have to see if I can post one of the banners on my Fb page. Good to see an old brand doing good. Go Garfield! Thanks for kind condolences for Radish. Memorial post tomorrow. Gweat posty. We luv da Garfield too. Dat's a gweat video. Whoa! 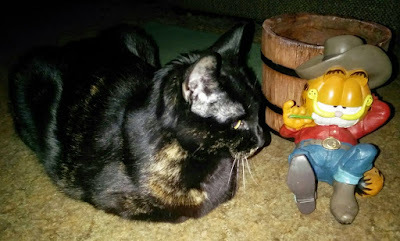 Garfield stumping for shelter cats. Last Friday was National Garfield Day.